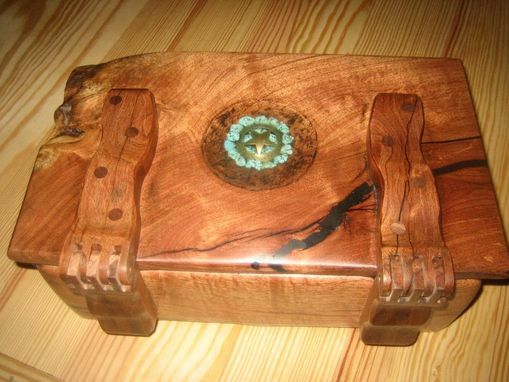 This box was made for a customer to give to her husband for his birthday. I hope he liked it. We are very happy with the mesquite box that Rick made for us. 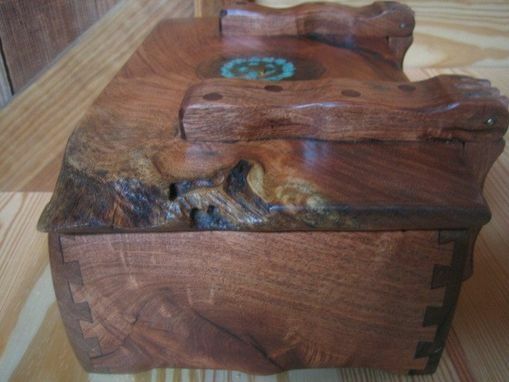 It has a beautiful turquoise inlay, just as we requested and the mesquite grain shows beautifully. The work was completed as scheduled and Rick kept us in the loop at every step. 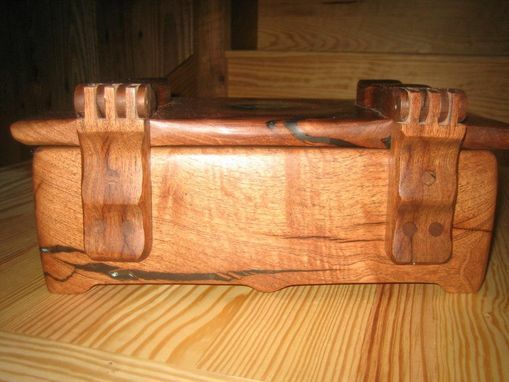 We feel we have gotten a handcrafted work of art for a great price. You should check out Rick's work!